Why Did Smart Money Ownership Of Pennantpark Floating Rate Capital Ltd (PFLT) Jump? A whopping number of 13F filings have been processed by Insider Monkey so that individual investors can look at the overall hedge fund sentiment towards the stocks included in their watchlists or find entirely new targets. These freshly-submitted public filings disclose money managers’ equity positions as of the end of the three-month period that ended on September 30th. Now then, let’s proceed with a discussion of the hedge fund sentiment towards Pennantpark Floating Rate Capital Ltd (NASDAQ:PFLT). Pennantpark Floating Rate Capital Ltd (NASDAQ:PFLT) has seen an increase in hedge fund interest of late, being included in five more smart money portfolios on September 30 than it was three months earlier. At the end of this article, we will also compare Pennantpark Floating Rate Capital Ltd (NASDAQ:PFLT) to other stocks including Gafisa SA (ADR) (NYSE:GFA), Sizmek Inc (NASDAQ:SZMK), and Autobytel Inc. (NASDAQ:ABTL) to get a better sense of its popularity. To the average investor there are dozens of indicators stock traders put to use to evaluate stocks. A pair of the most underrated indicators are hedge fund and insider trading signals. Experts at Insider Monkey, a website specializing in hedge funds, have shown that, historically, those who follow the top picks of the top fund managers can outpace the S&P 500 by a superb margin (see the details here). With all of this in mind, we’re going to take a gander at the new action regarding Pennantpark Floating Rate Capital Ltd (NASDAQ:PFLT). How have hedgies been trading Pennantpark Floating Rate Capital Ltd (NASDAQ:PFLT)? At the end of September, a total of seven of the hedge funds tracked by Insider Monkey held long positions in this stock, a gain of 250% from the second quarter. With hedge funds’ capital changing hands, there exists an “upper tier” of key hedge fund managers who were increasing their holdings substantially (or already accumulated large positions). According to Insider Monkey’s hedge fund database, GLG Partners has the number one position in Pennantpark Floating Rate Capital Ltd (NASDAQ:PFLT), worth close to $5.7 million, comprising 0.2% of its total 13F portfolio. The second-most bullish hedge fund manager is John Overdeck and David Siegel of Two Sigma Advisors, with a $1.4 million position; their fund has less than 0.1% of its 13F portfolio invested in the stock. Some other peers that are bullish comprise Israel Englander’s Millennium Management, Robert B. Gillam’s McKinley Capital Management, and D E Shaw. With general bullishness amongst the heavyweights, some big names have jumped into Pennantpark Floating Rate Capital Ltd (NASDAQ:PFLT). GLG Partners initiated the most valuable position in Pennantpark Floating Rate Capital Ltd (NASDAQ:PFLT). Millennium Management also initiated a $1.2 million position during the quarter. The other funds with new positions in the stock are D E Shaw, Chao Ku’s Nine Chapters Capital Management, and Gavin Saitowitz and Cisco J. del Valle’s Springbok Capital. Let’s also review hedge fund activity in other stocks similar to Pennantpark Floating Rate Capital Ltd (NASDAQ:PFLT). 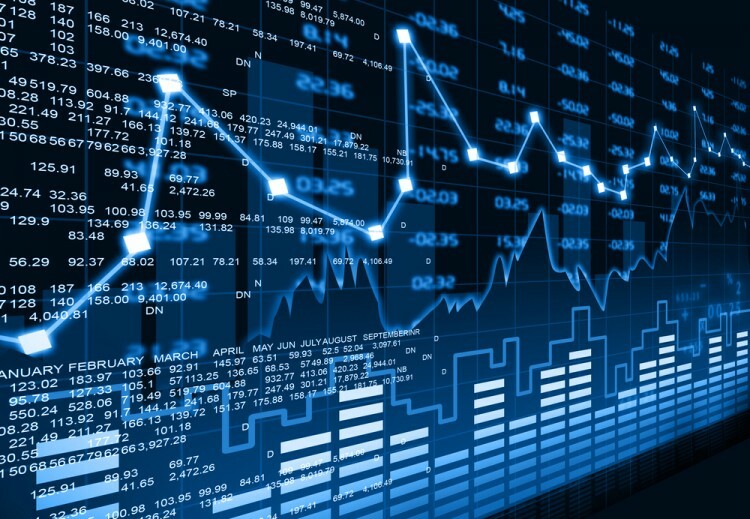 These stocks are Gafisa SA (ADR) (NYSE:GFA), Sizmek Inc (NASDAQ:SZMK), Autobytel Inc. (NASDAQ:ABTL), and Mattson Technology, Inc. (NASDAQ:MTSN). All of these stocks’ market caps match Pennantpark Floating Rate Capital Ltd (NASDAQ:PFLT)’s market cap. As you can see these stocks had an average of 9 hedge funds with bullish positions and the average amount invested in these stocks was $15 million, while it stood at $10 million in Pennantpark, a leap from just $1.23 million a quarter earlier. Autobytel Inc. (NASDAQ:ABTL) is the most popular stock in this table. On the other hand, Gafisa SA (ADR) (NYSE:GFA) is the least popular one with only six bullish hedge fund positions. Pennantpark Floating Rate Capital Ltd (NASDAQ:PFLT) is not the least popular stock in this group but hedge fund interest is still below average. This is a slightly negative signal, so while hedge fund interest is growing, we’d rather spend our time researching stocks that hedge funds are piling on. In this regard Autobytel Inc. (NASDAQ:ABTL) might be a better candidate to consider a long position in. Is Anworth Mortgage Asset Corporation (ANH) Going To Burn These Hedge Funds... Tutor Perini Corp (TPC): Hedge Fund Ownership Diminishing What Top Investors Think About Vocera Communications Inc (VCRA) Should You Buy Supernus Pharmaceuticals Inc (SUPN)? Is DryShips Inc. (DRYS) Going To Sink These Hedge Funds? Do Hedge Funds Love Del Taco Restaurants Inc (TACO)?